Audible is a great service and they have a nice format that is flexible, but sometimes it just isn't flexible enough. If you have mp3 player that you wanted to use, doesn't support .aa or drm for that matter. You certainly didn't want to burn them to however many cd's it would take, so you can use this Audible Audiobook Converter to convert the file to a usable format. Audiobook Converter is an all-in-one AA Converter that can convert any audio books which could be played on iTunes. The conversion is 5X speed fast, and output could be CD Quality. It converts any purchased Audiobooks from iTunes or Audible on MAC OS X to MP3 or AAC files. Besides, it supports batch conversion. You can batch convert DRM protected or unprotected audio books to unprotected MP3 or AAC files with ID tags preserved and chapters kept after conversion. Note: To run Audiobook Converter on Mac 10.8, please refer to: Guide on How Install AVCLabs on Mac Mountain Lion. Audiobook Converter helps record copy-protected video, music and audio books in WMV, WMA, M4P, M4V, M4A, AA, M4B formats by playing them and save as unprotected MP4, MP3, WMV, WMA or OGG file, so you can enjoy the purchased music anytime anywhere and also share with your family! Audio Books from companies like Audible are great for anyone who travels or commutes. Unfortunately, these audio files come in a proprietary copy-protected format, which makes them hard to transfer to devices like basic MP3 player, Sony PSP, cell phone, laptop, portable PC or standalone DVD player with MP3 support. You may use AVCLabs Audio Book Converter for Mac to remove copy-protection (DRM) from Audio Books that can be played with Windows Media Player and iTunes. 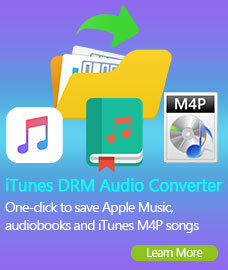 You can convert any audio book into MP3 or AAC format, the DRM protections on audio book will be removed. So, it's also an .aa converter, and audio book DRM remover. Like to listen to audio books on your MP3 player, but your player lacks a bookmark function? If you have long audio files that haven't already been split into chapters, it can be a pain to fast-forward to the desired point in the track. 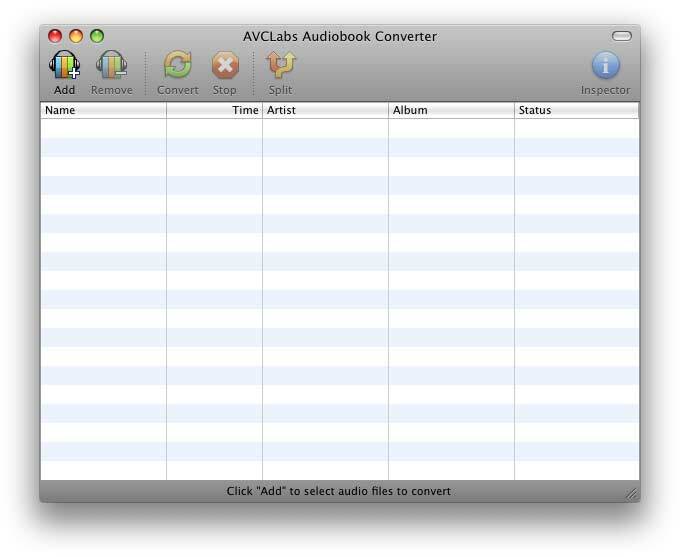 AVCLabs Audio Book Converter for Mac can help you split audio books into shorter tracks on your own. There is a audiobook file splitting function inside AudioBook Converter. If you need to have several small files instead of a big one, the Split function will help you. 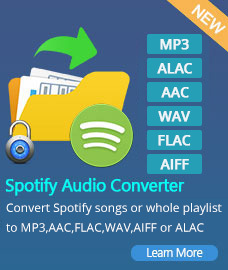 Audiobook Converter makes audiobook to mp3 batch conversion simple and easy. You may select several audio book files to convert. Then click "Convert" button to start converting. What you need to do is just wait for the result of conversion. The best DRM removal software which can remove DRM copy protection from M4V video files purchased or rental from iTunes, and convert DRM m4v to unprotected avi, mpg or mp4 for iPod, iPhone, iPad, PSP, Zune, etc.